Well its been a long time since I posted anything here. In fact, as of yesterday, its been 2 years so I thought it’s about time I made a return to modding with a real blast from the past mod. For those of you who remember Halo 1 and the original Nightwinder. Well I would like to say you’re in for a real treat. Nightwinder 2 was started last year just before Christmas and as I was playing some serious catch-up on the mod scene, but thanks to a handful of modders who I believe are the embodiment of the phrase “Modding Community” I found my feet. Due to this constant learning curve the mod was re-done, improved and changed as I was able to do more. Human Sniper Rifle > RIPPA Rifle: This is a seriously upgraded version to the one included in Northy’s fantastic Hang em Higher. 4 round clip of razor sharp energy disc’s which buzzsaw their way into your opponent’s. Head shots with this are fatal. Covie Sniper Rifle > Photon Rifle: Again a much more powerful and better looking version of the one included in Hang em Higher. Fire’s a concentrated burst of super heated plasma which detonates on any surface. head shots with this are deadly. Battle Rifle and Pulse Rifle: 4 round burst of depleted uranium hyper magnetized shell’s. These pass through human or vehicle target’s at great velocity causing moderate damage to what or who ever they tear through. Covie Carbine and Viral Cannon MK3: A 4 round hi speed burst of viritol acid able to burn target’s over distance make the VCannon a match for the pulse rifle. Magnum’s and Magnum’s: The Magnum’s fire a smaller caliber uranium round like the pulse rifle. The range is less but the rate of fire make these a deadly dual combination and worthy of the title ‘The Magnum’s Of Justice’. Plasma Rifle > Static Rifle: The Static rifle fires burst’s of static energy stored in its power cell. With a moderate rate of fire and firing 4 projectiles a shot this weapon is devastating at close range. Brute Plasma Rifle > Particle Beam Rifle: The PBR fire’s twin shots of accelerated plasma, the velocity of which can cause it to bounce of certain surfaces and set up deadly ricochets in the tighter spaces of some of the larger vehicle’s causing multiple hits of a single shot. Head shots reward the keen eyed with greater damage. SMG & RLG: The Experimental Fusion generator in the RLG makes this weapon a solid basic secondary weapon to carry. The generator re-loads the weapon over time meaning the weapon can fire a full clip of 50 round’s and within a 30 second period re-load itself. The projectiles will pass through human/alien targets with ease but its damage is low against the heavier vehicles. 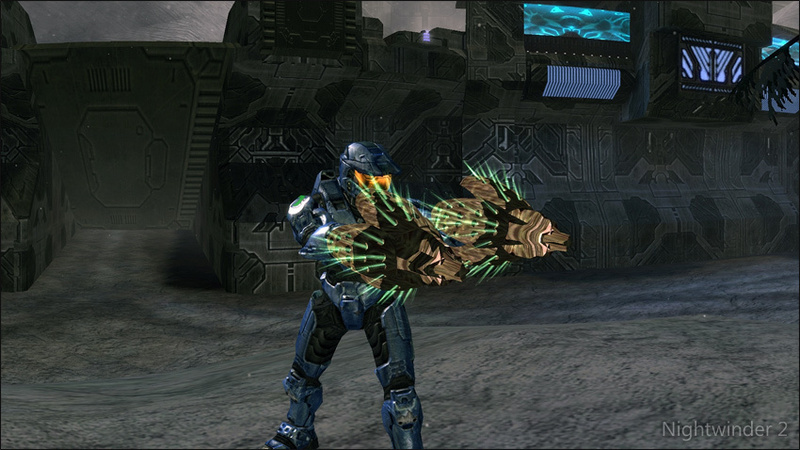 Needler > Decayer: This is one of the first Flood infection based weapons to have been discovered on this facility. The weapon fires in a similar way to a shotgun but in a double burst. The icor filled crystals contain a potent flood based virus which if enough crystals hit cause the target to violently explode. The damage is low on impact but the explosion is much higher. Shotgun > D.B.M90: This is an upgraded version of the M90 standard issue marine shotgun. Firing a much bigger payload than its little brother and a much tighter spread, it makes the D.B.M90 worth picking up and keeping to hand for close encounters. BruteShot > Plasma Caster: The PCaster is a hybrid weapon from the covenant and brute technologies. The standard grenade rounds have been replaced with a ball of compressed energy which detonates on impact rather than after bounce. The energy balls have a moderate amount of force behind them and up close the damage can be devastating. Rocket Launcher > M.A.C.H Cannon: The M.A.C.H Cannon is based on the Cario’s own MACH guns in portable form. The Projectile is a mass of super heated metal condensed into a tight sphere and then charged with energy before being released. The projectile also has heat seeking on vehicle’s and is a serious contender against anything it hit’s. Fuel Rod Gun > Holocaust Cannon: The Holocaust cannon is a forerunner experiment in combined elemental fusion. The weapon produce’s 3 separate energy types and in the gun chamber combines them to create a devastating projectile. Fire, Ice and super heated plasma combine to make this weapon a force to be reckoned with. The Holocaust cannon also seems to mimic the human M.A.C.H cannon homing ability and with the 3 round burst against vehicle’s its not to be messed with. Sentinal Beam > Spartan Spiker: The early version’s of this weapon resembled the mill’s cannon weapon of the early 20th century. With the discovery of the covenant technology’s the evolution of the mill’s cannon was pushed forward to this The Spartan Spiker. The backpack contain’s a huge store of metal spike’s belt fed into the main gun. here they are superheated and fired through the tri-barrel set up to devastating effect. Fantastic at close range and highly effective at long this weapon is a match for what ever it face’s. Time to let ole painless out the bag! Plasma Grenade > Ignus Greande: Information on these Strange item’s is sparse, all that’s known, is they look like a skull. Question’s like where did they come from and who or even what made them remain a mystery. The only piece of information we do have is based on a fragment of a report found on one of the other Halo installation’s. It describes a grenade similar to this that was nick-named ‘the screamer’. The rest is based on myth it is said that the spirit of a long dead sorcerer is entombed on the plane of fire and that the grenade’s offer him a window into our realm with which he can vent his unending wrath on his unsuspecting victim’s. Fragmentation Grenade > EMP Grenade: These are a human based grenade designed to combat the sentinal and forerunner threat. The electromagnetic charge within the polymer shell is incredibly effective against any robot or cybernetic opponent,s Unfortunatly they are also pretty good against the spartan energy shielding, so watch where you throw them. 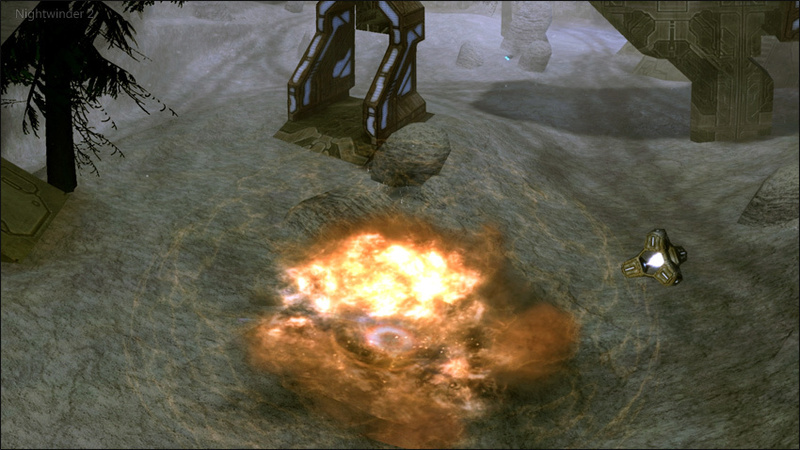 They, unlike the frag, detonate when they stop moving as it takes a second to generate the charge needed. Vampyre Chaingun + Chaingun Turret: The Turret on the Vampyre has been upgraded to fire the rail gun round. These projectile act exactly like the pulse rifle and magnum projectile but at an increased damage and rate of fire. The impact damage is massive and it also has a small explosion damage, so be warned! 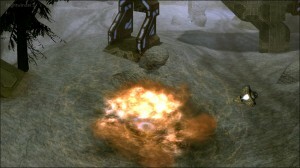 Vampyre Gauss Turret: The Vampyre Gauss has been improved and given a much bigger detonation than it’s predecessor. The projectile is now a shaped charge of solid superheated metal. Just as deadly as the gauss round but, now due to the solid nature of the projectile and its velocity, it will bounce off certain materials, but not before delivering its full payload of damage to the target .The ricochette will deliver the full damage quota on each subsequent bounce until it hits something it doesn’t bounce off. Covenant Turret: The Turret’s rate of fire has been increased in a bid to contend with the human counterpart. It fire’s 3 projectile’s in a spread pattern that at close range, is devastating to human and vehicle targets alike. The projectile speed is much faster and this gives the turret greater offensive capabilities. Banshee: The banshee has been altered to re-enable the secondary fire in exchange for the boost option. 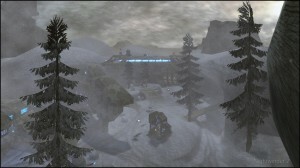 The basic speed of the vehicle however, has been increased to balance it out against the other weapons and vehicle’s. The main guns have been upgraded to an improved version of the phantom turret and have an explosive impact. The secondary fire is a single shot holocaust projectile give the banshee greater offensive abilities against the other vehicle’s. Spectre Turret: The projectile on the previous spectre was in contention with the human chain gun. 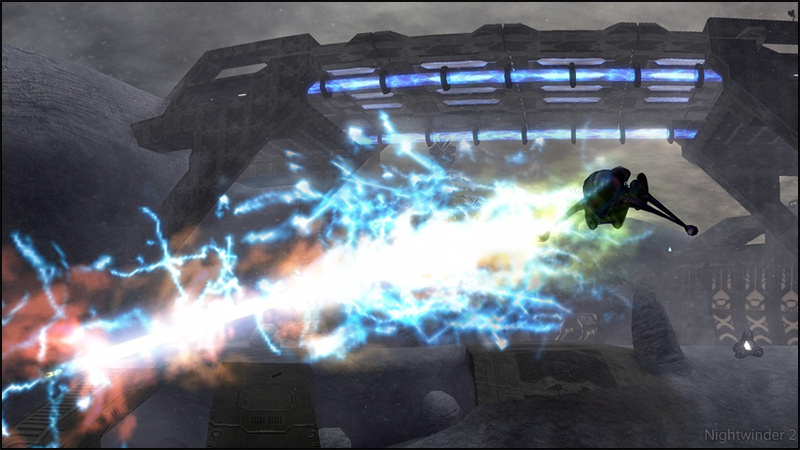 However, with the progress made in the covenant technology’s and their research into forerunner weaponry, they have brought the spectre back into contention with it’s human counterparts. The projectile is shaped plasma cone designed to penetrate most armor types and deliver a moderate amount of sustained damage to whatever it hit’s . The weapon is also incredibly effective against ground troop’s. Ghost: The Ghost’s twin guns have been replaced with a much improved beam weapon with incredible accuracy. The damage is devastating against ground target’s but slightly less against the other vehicles. However its maneuverability more than make’s up for that and it still remains a potent vehicle. Scorpion Main Gun + Chain Gun: The main shell has been improved to give a much more powerful detonation. The explosion is massive and will disorientate its target in the unlikely event they survive. The chain gun has been left standard, the scorp is a tough ole boy as it is. Wraith Tank > SCARAB Tank: The SCARAB tank was created to give the Scorp a run for its money. Not only has the huge maingun from the SCARAB been added to this alien behemoth, but its also been givin a mini gun to take on ground based targets more effectively. The main gun projectile is also able to bounce, so if fired in to a tight area, the devastation is massive. Be warned! Due to the incredible destructive power of this main gun, the fire effect can obscure the view, so make **** sure you have your target in your sights before you unleash the beam! The Easter Egg: Somewhere on the level, rumour has it, is a weapon of devastating power. For those sharp eyed among you, finding it will be fun. 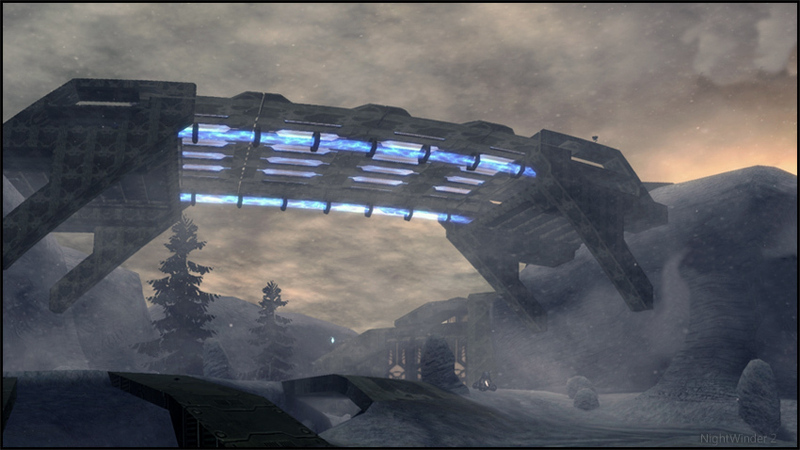 The only information you have, is a fragment of information in a log found in the base’s at each end of the level. Something about prototype and orbital weapon platform were the only translatable words that could be taken from it. 4 extra working machs (containment gates at each base). ctrl’s linked to the gate’s to open. 15 extra full collision scenery piece’s. 16 non collision scenery piece’s 8 shields and 8 teleporter base’s. 3 weapon models (should have been all weapons, but haven’t been able to get them UV mapped yet). 26 modded weapons and projectiles. Load’s of effects, shaders and bitmaps. 9 added projectile’s the rest modded and built from scratch. My Thanks to my “Head of being shot while testing weapon’s and key beta tester” Chanko Nabe. With out him these weapons would be nothing more than smg shoot’s tank shell type mods. Having him stand there while i shoot the crap out of him checking the look, damage and feel of each weapon, must have given him nightmares! He still flinch’s at the phrase “hmmmm I need to check it again, one sec!” On top of that his input on level layout and ideas has been invaluable. Chanko Nabe is living proof that you can get a Northerner capable of multi tasking lol. These weapons have been perfected on his corpse and as Chanko himself would say “Time for some Chanky Panky”. Pokecancer For putting up with my constant demands for help and his groundbreaking apps and knowledge, thanks man. The Tyko man For looking up obscure tags and references in a bid to make my projectile ideas work. Without his extensive knowledge, I couldn’t have made some of my stuff work. Northy For his encouragement in picking up the modding gauntlet again after all this time and keeping my mod on track and moving. With being “pnowned” and “you are great” video’s, he’s certainly kept me sane. Thanks man, now its your turn to pick up the gauntlet. HIZLO For being the man on HaloMaps and his encouragement in the form of constant insults and put downs, thanks bro. Say my name *****!!!! HuMpY For all his hard work on the mod in its infancy and giving his uncut view’s on what stay’s and what goes in the development stage’s. This one’s for the HuMpStEr!!!! iGeo The master of skin’s for my warthog and scorp skin’s the high res screens and pics and the main menu image. Previous to meeting iGeo my head skinner was PJ Sweesy. Filling his shoes was no easy task, but he’s managed to do it and it’s giving me some serious thoughts about learning to do this myself. eV DoorM4n For his advice on the mach issue’s the mod first presented and his help with random question’s. He also helped with sorting out the crash issue’s in the early days of the mod’s life. Mikiee For his help with all things MACH and the encouragement to keep trying when the mod didn’t go well or simply crashed for no apparent reason. As he quite rightly said, “halo 2 hates good mod’s”. Sneezethedog, Pyroman and VbNoob For their help in getting me back up to speed when I started back and for the relentless demand for knowledge. And to anyone else I forgot thank for getting me back on track. That’s what the modding community is all about. Please post feedback. That’s what keeps my mods moving forward and I can hopefully make better ones in the future. Anything you think about the mod good or bad is welcome.